Please do check our contact details in the banner & give us a chance to provide you ‘Matchless Customer Service’ in the Industry. Customize your Dedicated Support with us!! Author adminPosted on January 22, 2018 January 22, 2018 Categories Dedicated Support Plan, Promotional OffersTags 24x7 Remote technical support, cloud management, Dedicated Support Plan, Management, per ticket plan, Server Administration, server management, Server Monitoring, Startup plan, Trusted certified adminsLeave a comment on Customize your Dedicated Support with us!! 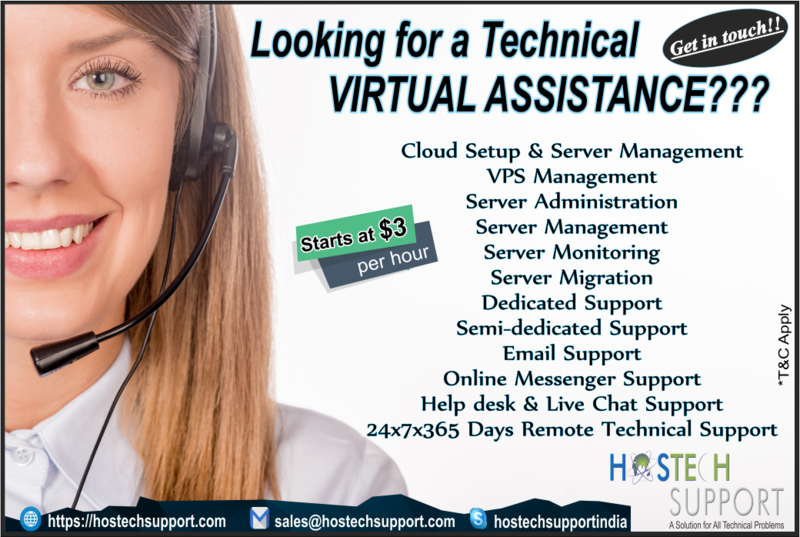 HostechSupport serves you 24×7 Superior Technical Support at Best Prices with Addon Benefits!!! Dedicated SupportPlan #HostechSupport #HostechSupportindia #24×7Remote Technical Support #Server Management #Server Monitoring #24×7 Unlimited help-desk #24×7 Live chat support #Free of charge backup techs #phone support emergencies #30days money back guarantee. Author adminPosted on January 20, 2018 January 20, 2018 Categories Dedicated Support PlanTags #Dedicated SupportPlan, 24x7 Live chat support, 24x7 Remote technical support, Free of charge backup techs, server management, Server Monitoring, Unlimited help-deskLeave a comment on Thinking about a Trustworthy Tech Support partner?